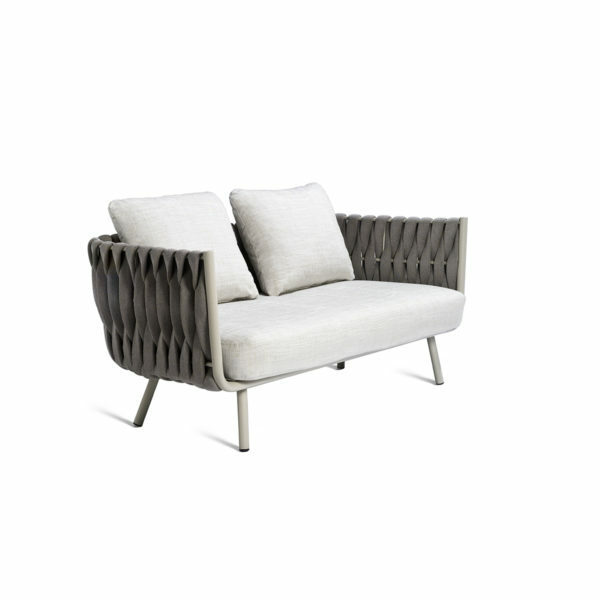 The Tosca outdoor collection is simultaneously warm and inviting, stylish and intriguing. 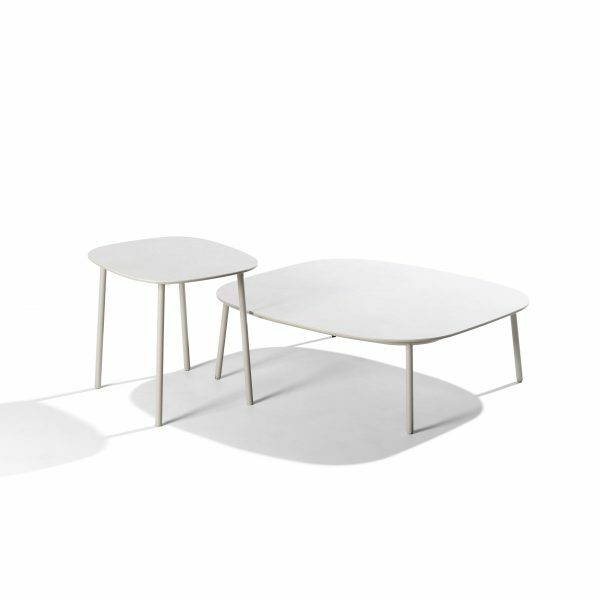 It was the first time Tribù called upon a female designer to draw an outdoor furniture piece with a more feminine touch. 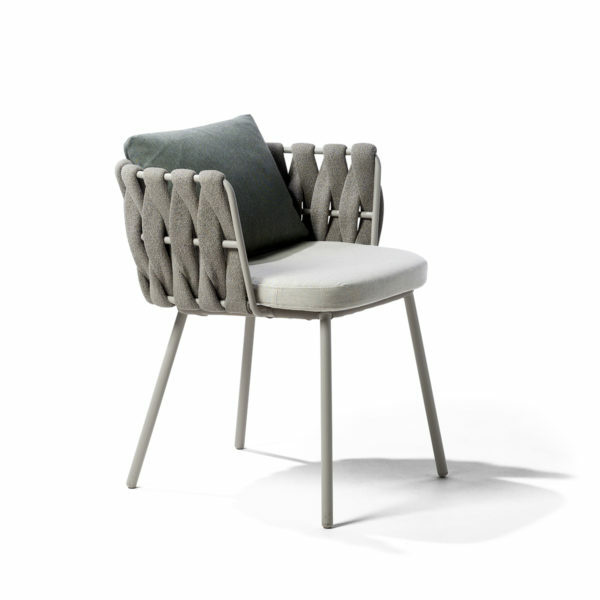 Monica Armani succeeded in her challenge : rounded forms, tapered legs and an elegant seating shell in powdercoated stainless steel, upholstered with extra-wide braiding. Understated luxury. The material for the braiding is genuinely innovative : foam mousse is encased in a seamless sheath of knitted textilene and polyolefine which makes the material weather-resistant, but also surprisingly soft to the touch. 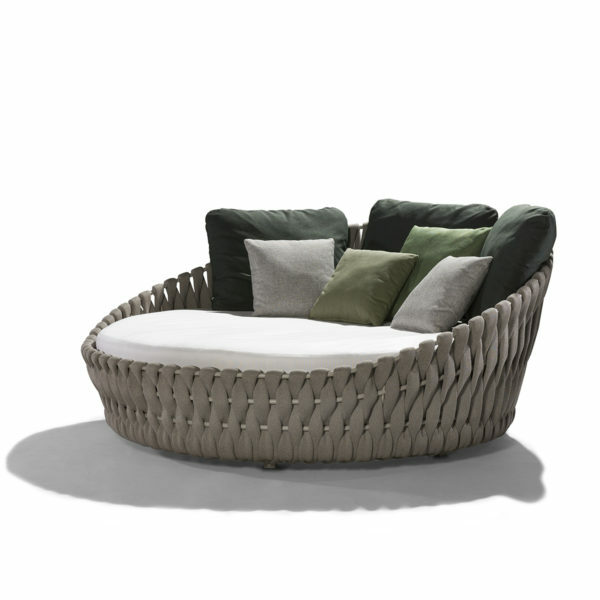 The seating comfort is especially pleasant, also thanks to the comfortable outdoor cushions. 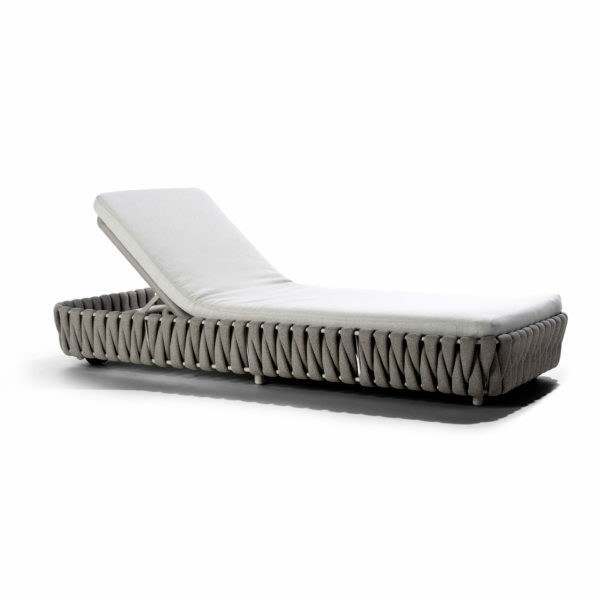 The soft ton-sur-ton colours in linen emphasize the chique character of this luxury outdoor sofa. 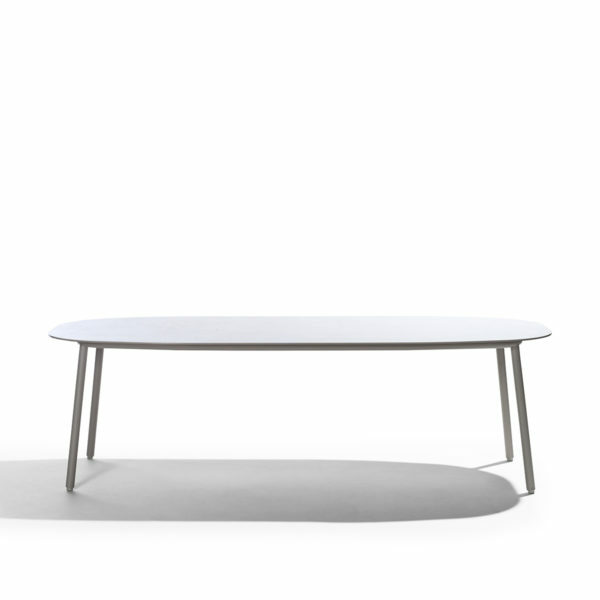 The elegant curved seating shell form is the defining character of Tosca. The innovative wide braid is made up of a soft knitted textilene fabric encasing a pliable foam mousse. 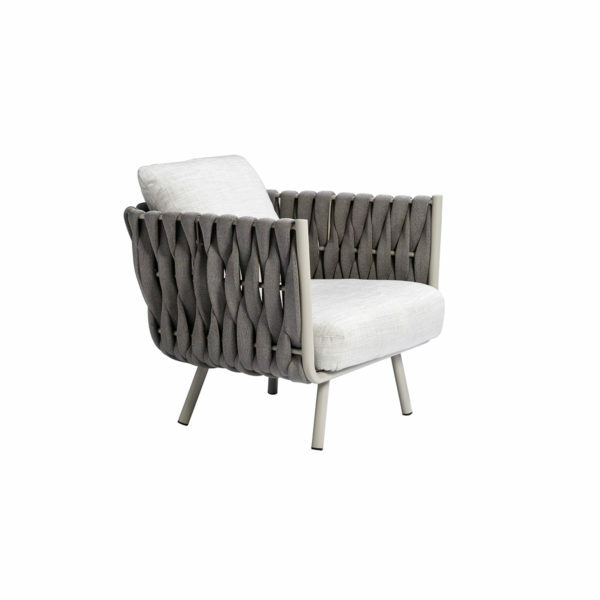 The water resistant knit is woven over the powder coated stainless steel frame. Tosca is finished with deep seat and back cushions.